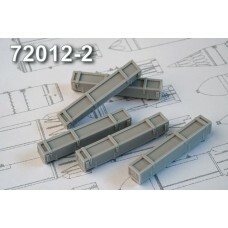 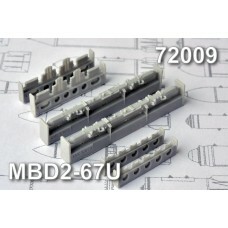 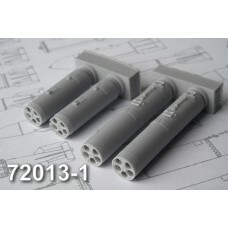 MBD2-67U Multiple bomb racks (set contains two bomb racks and four 100 kg SAB-100MN bombs). 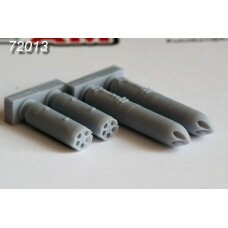 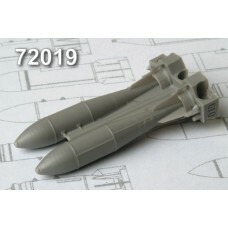 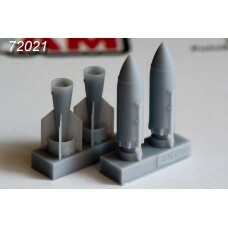 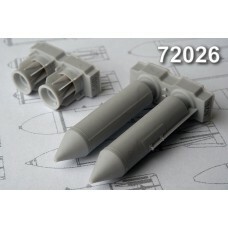 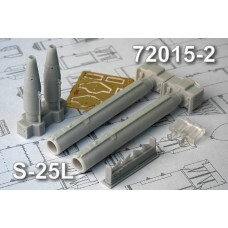 Suitable..
C-8 80 mm rocket transport box (set contains five boxes). 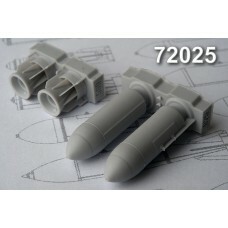 Suitable for soviet Russian scale aircraft..
FAB-500 M-62 High-Explosive 500 kg bomb (set contains four bombs). 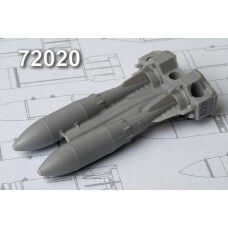 Suitable for Soviet Russian aircr..
FAB-500T High-Explosive 500 kg bomb (set contains four bombs). 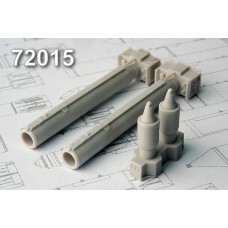 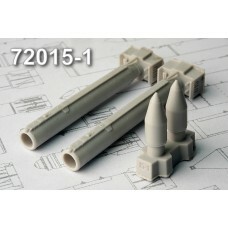 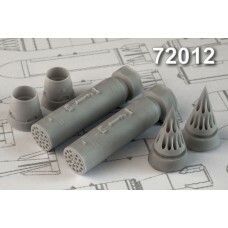 Suitable for Soviet Russian aircraft ..
BETAB-500 Concrete piercing bomb (set contains two bomb racks). 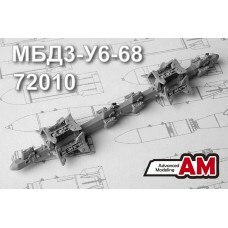 Suitable for Soviet Russian aircraft..
RBK-500 AO 2,5RTM 500 kg Cluster Bomb loaded with Fragmentation Submunitions (set contains two clust..